Philippines – is a truly perfect place to relax. This country in southeast Asia is becoming more and more popular among tourists. And if 20-30 years ago mainly tourists from Japan, South Korea and the United States traveled to the Philippines, nowadays the islands attract tourists from all over the world. That’s all because vacation in the Philippines is incredibly interesting and exciting. The nature of the Philippines will surprise even the most experienced traveler — on the islands there is an opportunity to visit places with unique landscapes and the best beaches, the feature of which are volcanic rocks covered with greenery. Those who prefer relaxing on the beach, in the Philippines will be happy to spend time on white beaches in the shade of tall palms, swimming in the emerald water. At the same time on the beach you can be active – the rich underwater world of the Philippines provides an opportunity of interesting snorkeling — colorful coral forests, sea stars and sea urchins, a variety of underwater plants of fanciful shapes, fish and turtles — all this you can see right off the coast of the islands. 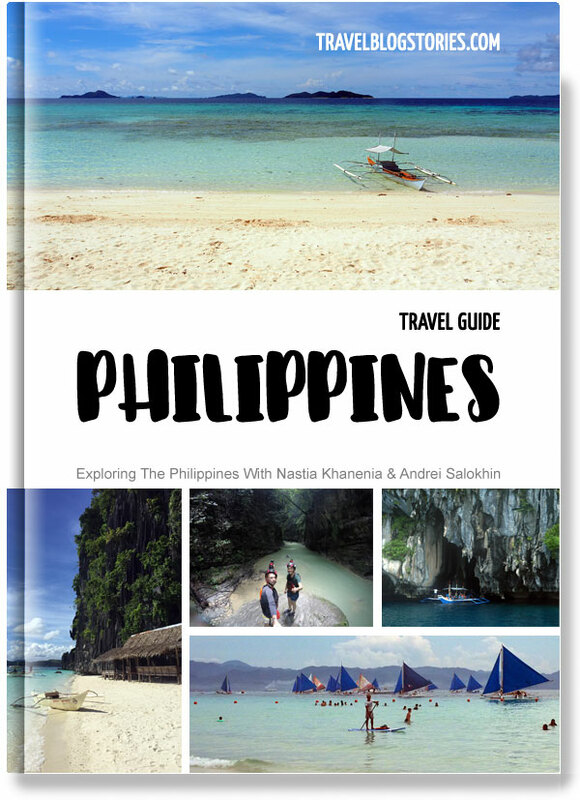 ✔Philippines Guidebook by Nastia Khanenia and Andrei Salokhin. 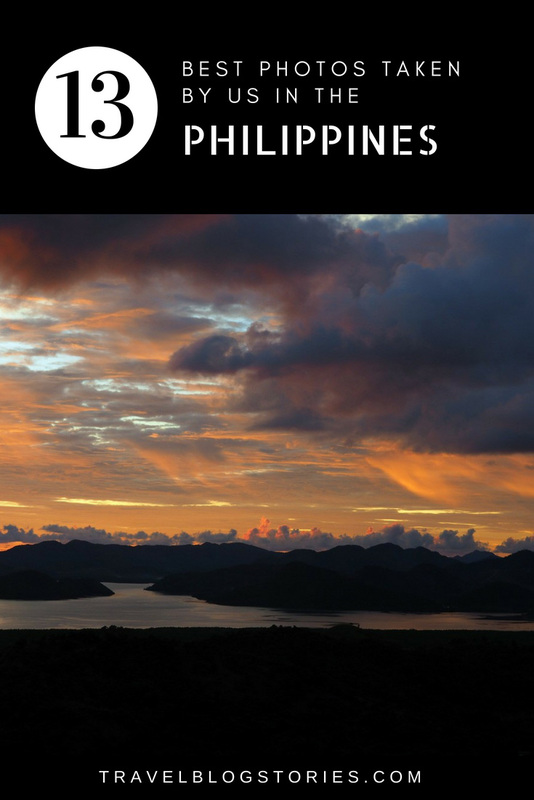 A detailed description of the Philippines, our 70-page travel guide is perfect for budget travelers! Here you will find practical information about traveling and saving money in one of the most beautiful countries in the world. You will get suggested routes, budget, ways to save money, interesting and unique features, non-touristic restaurants, markets and bars and much more! Click here to learn more and buy the guidebook.  How to Get There? 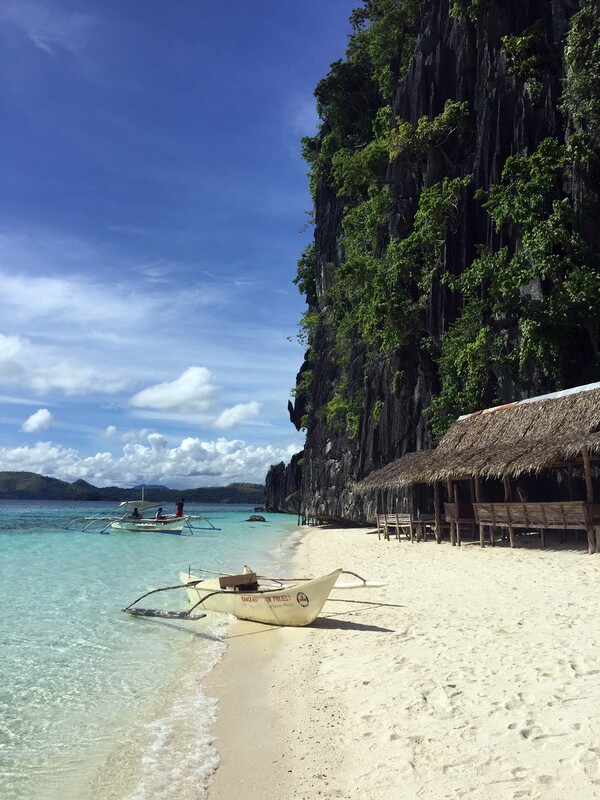  Climate and Weather – When is it Better to Go to the Philippines? Is it Worth Booking Accommodation in Advance?  On Vacation With Children – Where to Go in the Philippines?  Where to Buy Excursions, Boat Tours and Other Activities?  Do You Still Have Questions? Ask Them in the Comments! Philippines are popular among those who adore diving and freediving – near the islands there are over 7,000 diving sites. The richest underwater world with coral reefs and their inhabitants, along with a lot of sunken ships of the Second World War create ideal conditions for diving. can also go to the Philippines. The island of Siargao – the most eastern island of the archipelago – is famous for perfect conditions for surfing. The most suitable months for surfing in Siargao are May and October. 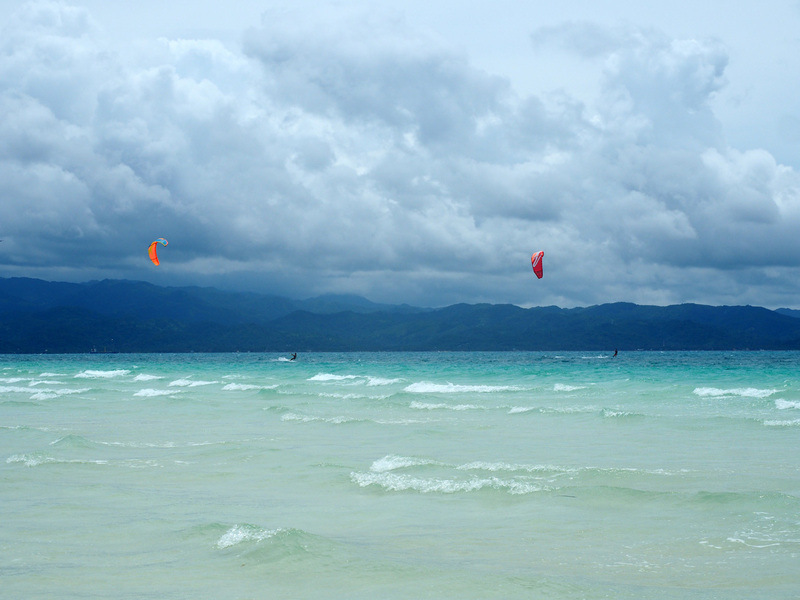 Kitesurfers from all over the world come to the most popular vacation island in the Philippines – Boracay, where the ideal conditions for kitesurfing on Bulabog beach are. Every year world kitesurfing competitions are held on Bulabog beach. Mountains occupy most of the territory of the Philippines, and therefore amateurs of trekking and mountain climbing will be happy to enjoy their favorite hobby here, during which they can admire not only the mountain, but also extraordinary volcanic landscapes. 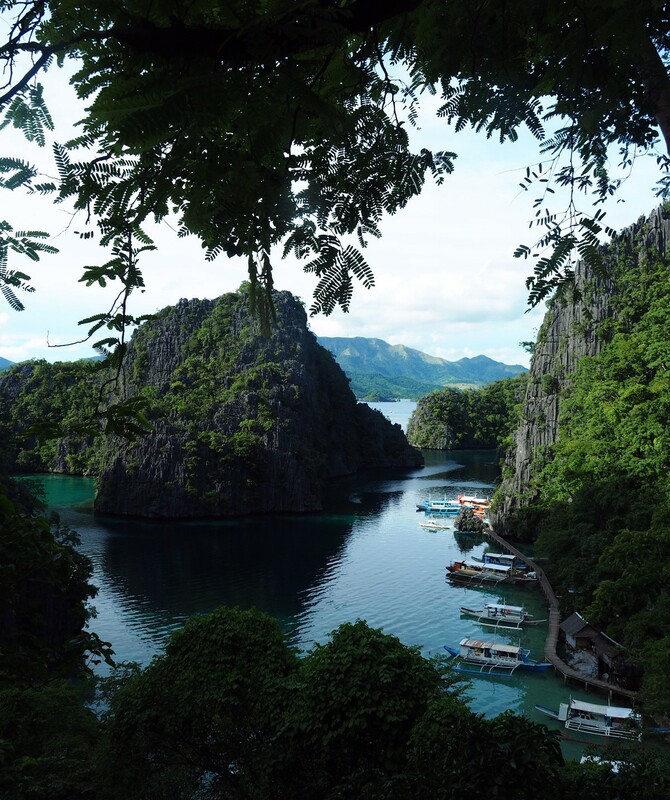 Ecotourism becomes increasingly popular in the Philippines. On the territory of the islands there are natural parks and reserves, which attract tourists from different countries, those, who are tired of big city life and want to spend time in the Philippines alone with incredible nature. Vacation time in the Philippines can be really interesting and exciting, here it is absolutely difficult to get bored. Philippines is a country where it is hard to choose where to travel first, because there are many interesting and beautiful places to visit. During the planning of our self-made trip to the Philippines, we faced the fact that we want to see and visit if not all (there are more than 7,000 islands), but a fairly large number of islands. For almost a month of our trip we visited 5 large islands with small islands near them, but this is certainly not all that we would like to see and visit in the Philippines. And this is another reason for the popularity of the Philippines – you can come back again and again, and you will always find incredible places where you have not been yet. The Philippines can surprise! Do you need a visa to go to the Philippines? Before going to the Philippines, make sure whether you need a visa or not. Citizens of some countries do not need visa to travel to the Philippines. 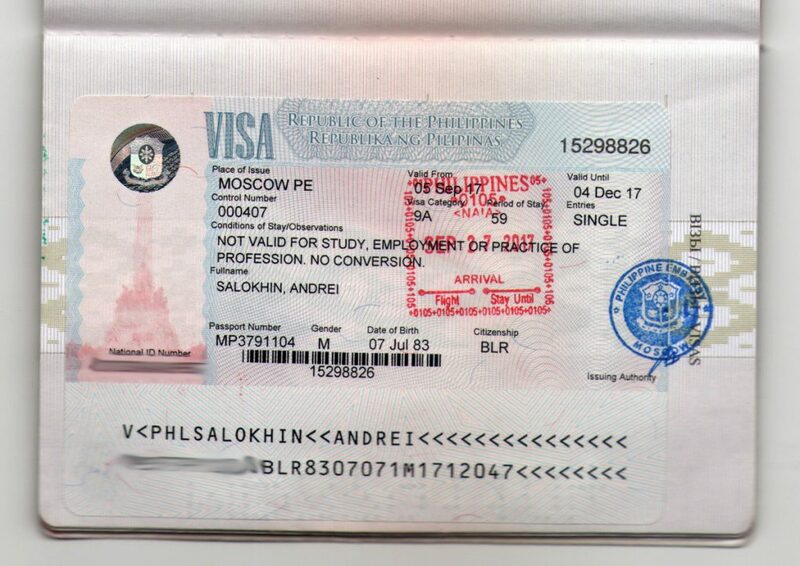 For example, U.S. citizens may enter the Philippines for purposes of tourism without a visa if they present their U.S. passport, valid for at least six months after their date of entry into the Philippines, and a return ticket to the United States or an onward ticket to another country. Please note that it is not only return tickets that are required for traveling to the Philippines, but also travel insurance, do not neglect it. Philippines – How to Get There? No matter how attracting a vacation in the Philippines is, many refuse to travel to the islands, when they learn how much it is to fly to the Philippines. Especially in case the vacation lasts only 10 or even 14 days – people always do not want to spend a lot of time on the road. The only way to get to the Philippines is by air, sometimes with one or several stops. There are several international airports in the Philippines. Basically, all tourists fly through Manila – the capital of the Philippines. But besides Manila (Ninoy Aquino Airport), there are international airports on other islands, the largest of which are on: Mactan island (Mactan-Cebu Airport), Panay (Kalibo airport – the closest international airport to Boracay island) and Palawan (Puerto Princesa airport). When buying flights to the Philippines, keep in mind your itinerary around the country, in addition to Manila airport, check flights to other nearby international airports of your destination. 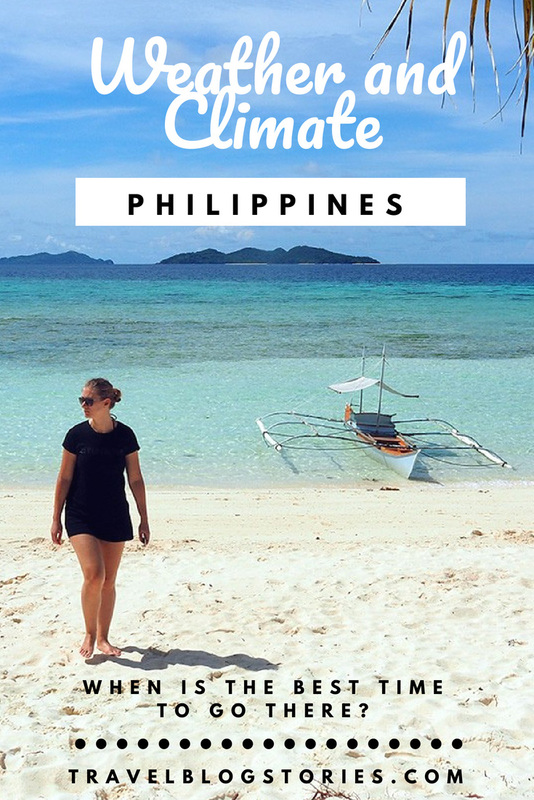 One of the advantages of Skyscanner is the ability to specify flexible search parameters, and if you are not limited with specific dates, you can choose the dates of the cheapest flights to the Philippines. More details about buying airline tickets, as well as tips on how to buy the most profitable airfare deals you can read Here. Before visiting the Philippines, read the rules of carrying baggage to avoid troubles. Climate and Weather – When is it Better to Go to the Philippines? The Philippines is in a zone of a tropical climate that has two features: high humidity and year-round high temperatures. If you look at the weather forecast in the Philippines by months – you can see a year-round summer. Wet season lasts from May to November, while the wettest in the Philippines are the months from June to October. Rainy season does not mean that it rains day and night, it’s rather several tropical rains several times a day. The weather during the rainy season is unpredictable, often changing throughout the day. At the same time, there are still high air temperatures – during the rainy season the average temperature is 30 ° C (86 F) during the day and 26 ° C (78 F) at night. From May to November there is a high risk of typhoons in the Philippines. And August is usually the peak of typhoons. The most dangerous in this regard is the north of Luzon island, which is in zone of typhoons. As for the other islands – you can look at the map of the Philippines – the more to the south the island is, the less likely it is for typhoons. By the end of the wet season, the weather in the Philippines is gradually changing to a comfortable, dry and sunny, when it rains heavy only at night. Dry season lasts from December to April. During the dry season the weather in the Philippines is comfortable and sunny, with occasional rains. Typhoons are the least likely from January to April. The dry season is popular for vacation in the Philippines, because at this time the weather is not changeable and it is unlikely to affect your plans for vacation. This is the key argument for choosing when to go to the Philippines. Dry season in the Philippines in it’s turn is divided into 2 parts – cool and hot. When choosing the time to spend vacation in the Philippines, you need to pay attention not only to the weather. While planning your vacation and choosing the right time to go to the Philippines, you should keep in mind that during so popular dry season there is also a “high season” — the time of common holidays, when the number of tourists in the Philippines increases several times, there is a growing demand for accommodation, flights and entertainment, and as a result of increased demand, prices for everything rise also. Among disadvantages of vacation in the Philippines during the high season is not only the price increase, but also the huge number of tourists everywhere. At this time it is too difficult to find secluded places and beaches, and tables for dinner in good cafes and restaurants should be booked in advance. The cost of vacation in the Philippines in the high season can be several times higher compared to a similar vacation in the low season, not during public holidays. Pay attention to this during planning your holiday in the Philippines. You can exchange money at a good rate in the Philippines in big cities, while in small towns and resorts the rate is often too bad. You can exchange money immediately upon arrival at Manila airport – at the exit from the airport there are several round-the-clock exchanges with a good rate. If you do not plan to stay in Manila or another big city for a long time – it is better to exchange a sufficient sum of money covering your approximate expenses before leaving the city. Philippines is not a country where you can easily use a credit card. Cards are mainly accepted in big cities and popular resorts like Boracay. In small towns to pay for everything you need cash, even in cafes and many hotels, if not to mention entertainments, boat rental and so on. 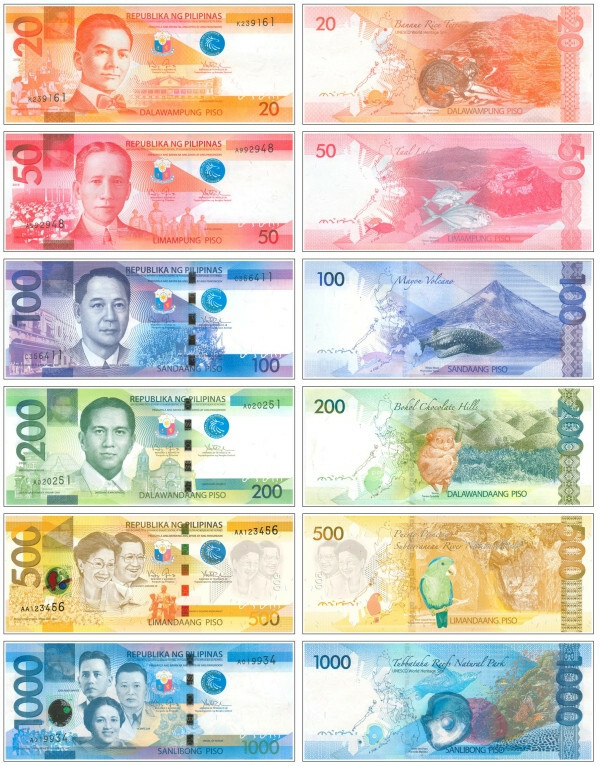 While on holiday in the Philippines, always keep a local currency in cash with you. It is better to have small banknotes – you may need change for small purchases and to pay for transport. Taxi and tricycle drivers often do not have change, so to avoid problems and waste of time, you’d better have small change with you. Based on personal experience, I say that before traveling to the Philippines it is better to contact the bank the cardholder of which you are, and to warn that you will make payments from the territory of the Philippines. One day during our trip, I decided to pay for products at supermarket in a shopping mall by credit card. After several attempts, the operation wasn’t confirmed, and I had to pay in cash. Further, this card did not work anywhere in the Philippines, and it was good we had other credit cards and cash. Later, already on arrival home, it turned out that the bank found the payment transaction from the Philippine territory suspicious, and the staff called me to confirm whether It was made by me or not and whether there was not fraud. And since during the trip I used only the local Philippine SIM card, the staff of the bank did not get through. As a result, in order to avoid problems, it is better to contact the bank in advance and inform about your plan to use a credit card in the Philippines. The official languages in the Philippines are Filipino (Tagalog) and English, which a large part of the population speaks. It is the population’s knowledge of English that is one of the reasons why the Philippines are becoming increasingly popular for tourism. The wide popularity of English in the Philippines is due to American influence, because the country was a dependent territory of the US for about 50 years in the early 20th century. The fact that the Philippines was a Spanish colony from 1521 to 1898 also affected the population. Some of the population speaks Spanish, and the official language (Tagalog) has Spanish vocabulary. In addition to official languages and Spanish, the population of the Philippines uses a large number of local languages and dialects. The most common among them are Sebuano, Ilokano and Bicol. Better than others are the first two — Smart and Globe. It’s easy to buy SIM card immediately upon arrival at Manila airport – at the exit of the airport there are representatives of Philippine mobile operators. Employees will help you come up with the tariff according to your preferences. For example, for us calls were not so important as the Internet. A SIM-card with a tariff that includes a small number of minutes (20 or 30) and 3 GB of Internet traffic cost us 1,000 PHP ($ 20). After visiting the Philippines, we made sure that the local SIM card greatly simplifies the life during the trip. The Internet in the Philippines is not very good, Wi-Fi in public places often does not work, and if it works, it’s very bad. In such situations, the Internet on the local sim card will help you. But you should be prepared for the fact that even the Internet by a SIM-card is also often weak and works with interruptions. There are more than 7,000 islands in the Philippines, and only about 2,000 of them are inhabited. 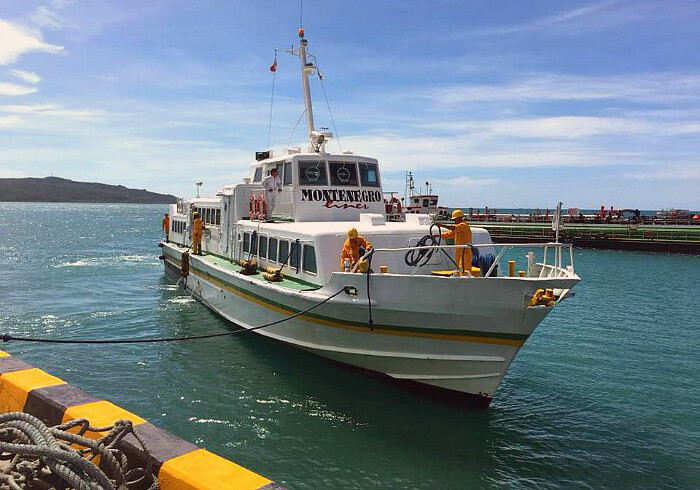 Transport between the large islands is well organized, however, there are nuances that should be taken into account when planning a trip to the Philippines, if you are going to travel around the country. 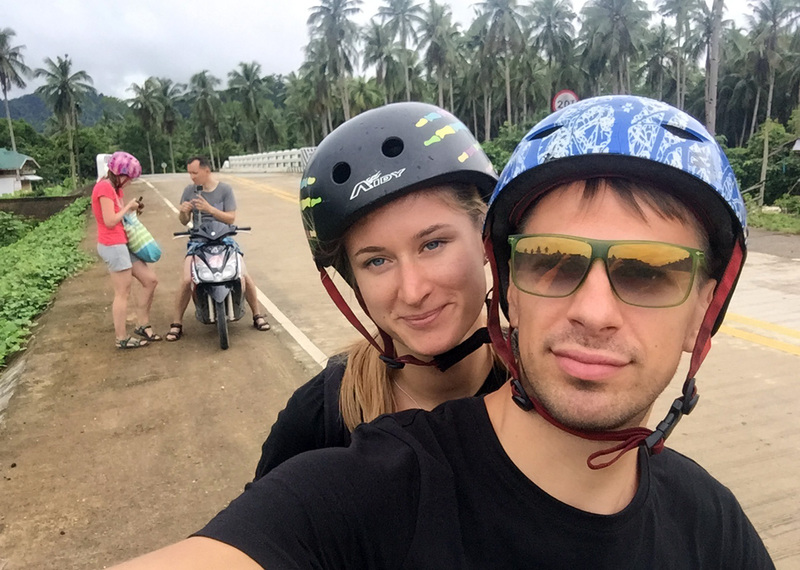 Our itinerary around the Philippines, we built based on the convenient transportation between the islands, this was our main desire when choosing where to go. First, we chose the islands in the Philippines, where we would like to go, and then found out between which islands there is a direct transportation. We included these islands in our itinerary, leaving the others for the next trip and a new route. Variants with a stop, for example, to fly from island to island through Manila, did not suit us, since it takes a long time, and we did not want to waste time. It is worth noting that even with direct transportation between the islands you spend on the road almost the whole day. Even leaving in the morning, you find yourself on another island in the afternoon at about 3-4 pm, and at 6 pm it gets dark in the Philippines, so on this day you will hardly visit any attractions (of course, I mean natural attractions). Flights are undoubtedly the fastest and most convenient way to travel around the Philippines (but not always the cheapest). You may book flights online and not to worry about your travel around the Philippines. The main domestic air carriers are: Cebu Pacific, Air Asia, Philippine Airlines. When planning a trip to the Philippines, if you choose traveling by air – take enough time for a possible flight delays of major Philippine airlines. If you are planning a flight with a stop – choose one with a stop that lasts for at least one and a half hours. Filipinos are very slow, and this is about air travel too. 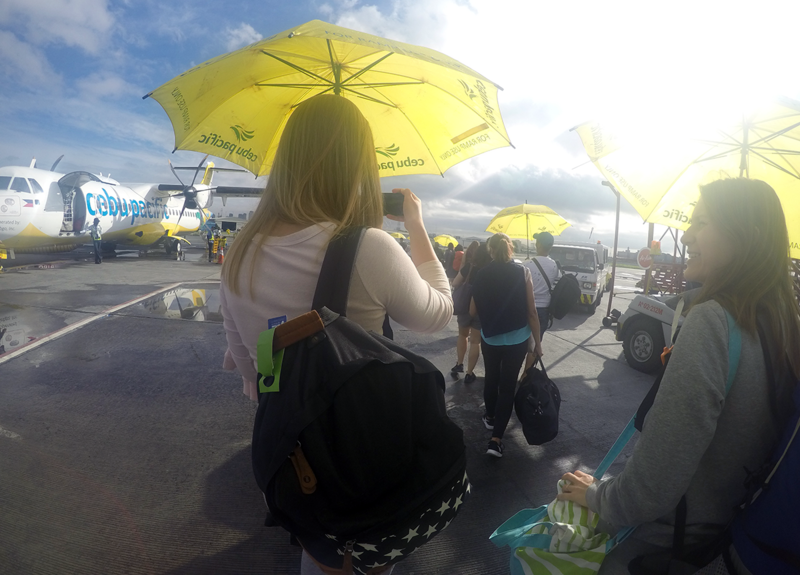 In case of bad weather conditions, flights can be changed to another airport of the island. When buying flights, check the official websites of air carriers. For example, Air Asia often makes flights sales, and you can buy tickets around the Philippines for $10-15. It is especially pleasant, if the sales include the directions you are interested in. In any case, for such a ticket price, you can change your itinerary, use fantasy, change the islands in places to get into promotional dates or even choose a different one from the planned destination around the Philippines. An important point, which is also worth paying attention when buying flights around the Philippines is that the initial cost of the flight usually includes only hand luggage, you will have to pay extra for luggage. For visibility and comparison of variants of flights in the direction you need, use Skyscanner. To find out which flights are cheaper and other useful tips for flights booking you can find Here. Water transport is widespread in the Philippines, which is reasonable given the country’s geographic feature. Between the large islands there are ferries, while from each island there are also small boats and banks to the nearby small islands. A ferry ticket is often cheaper than a flight (only if the second is not bought on sales), but traveling by ferry takes much more time and efforts. For example, a ferry travel from Manila to Cebu Island lasts about a day and costs no less than a flight. In any case, how to travel around the Philippines is a personal choice of every tourist. We traveled by Montenegro fast ferry from Coron Town, Busuanga Island to El Nido, Palawan. It took us 3,5 hours, which turned out to be faster than to get from Busuanga to Palawan by plane, taking into account the transfer to the airport, the flight itself and the transfer from the airport to El Nido. In addition to the rather fast moving, the Montenegro ferry pleased us with an absolutely comfortable trip and no delay in the departure and arrival schedule. The cost of the ferry ticket was $ 35 per person, you can read more about our trip on Montenegro ferry Here. Ferry tickets can be bought both after your arrival to the Philippines or in advance via the Internet. For example, tickets for Coron Town – El Nido ferry we bought Here. In every, even the smallest town wherever you are in the Philippines, you can always rent a small boat for a trip to the nearby small picturesque islands. Island Hopping is very popular in the Philippines and is on the TOP list of what is worth doing and trying in the Philippines. 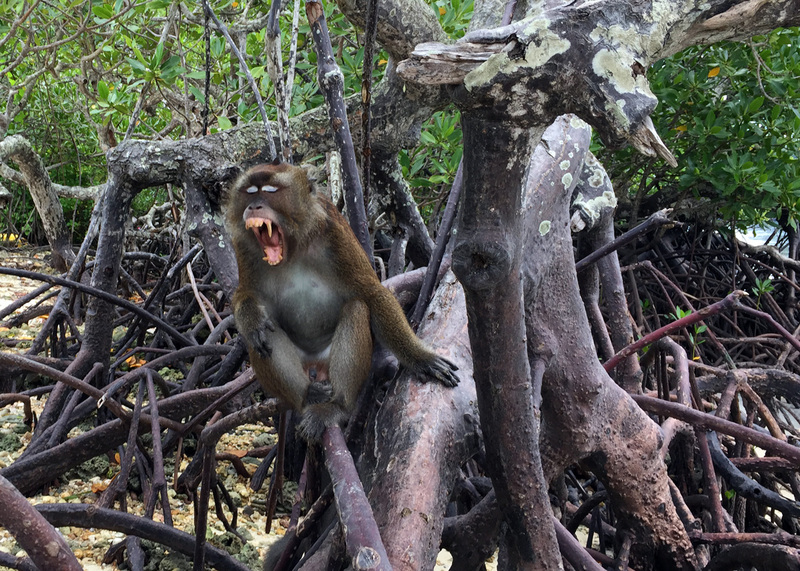 The nature of the islands surprises even the most demanding tourists. In popular tourist places, you can rent a boat individually or join a group tour to the islands with a group of other tourists. 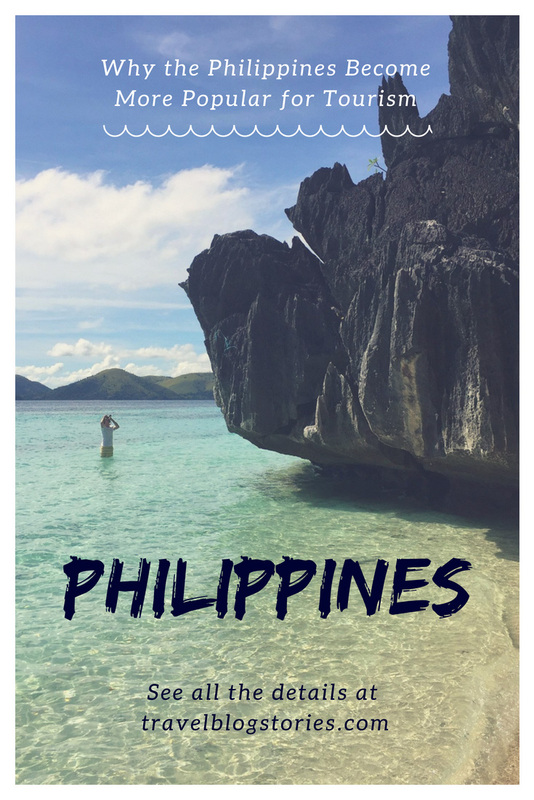 About how we rented a boat individually in the Philippines on Busuanga island to Coron island and our adventures you can read Here. And about our experience of a group tour to the islands you can read Here. It is possible to rent a boat individually in the port just before a tour, but it is better to do it the evening before. Boat rental is an extremely popular service in the Philippines, you can ask for it at your accommodation, in the excursions and tours sales offices or in the city port. Prices for boat rental in the Philippines vary depending on the popularity of the resort, for example on Boracay the prices will be much higher than in Coron Town on Busuanga. If you rent an individual boat for 4 people, it will be a little more expensive than a group tour with other tourists, but you will get much more pleasure, as you will not have to depend on anyone. The average estimated price for renting a boat for 1 day is about 5000 PHP ($ 100) for 4 people, but this does not apply to Boracay. Land transport is well developed in the Philippines within large islands (for example, Luzon, Cebu, Palawan, Negros and other islands). There is a regular bus service, buses are both new with air-conditioning, and not entirely new ones with open windows, which are cheaper to travel in. It is clear that at the same time you will first go by bus, then on the big ferry with the bus, and after – again on the bus. For example, you can get by bus from Manila to Boracay, although you will have to change ferries and buses several times, and in time such a trip can not be compared with a flight that lasts just over an hour. Bus fare in the Philippines is low, for a distance of 100 km on the island of Cebu from Cebu City to Moalboal we paid about $ 2 per person on a bus with air conditioning (without air conditioning it would be even cheaper). By the way, buses with air-conditioning are the coldest place in the Philippines, it’s terribly cold inside them, and you should better have have a hoodie with you, as there is a high probability to catch a cold. Buses follow the schedule, it is convenient that the first buses depart around 3-4am, the bus service is arranged around the clock. In big cities in the Philippines you can take advantage of the usual taxi. While in small towns on the islands tourists have to move mostly on tricycles. In general, tricycles in addition to the driver can accommodate 3-4 people (although local people ride of 8-10 people, we’ve seen this), but there are also more spacious new electric tricycles. In Manila, we also saw jeepneys – brightly colored small buses converted for passenger traffic. 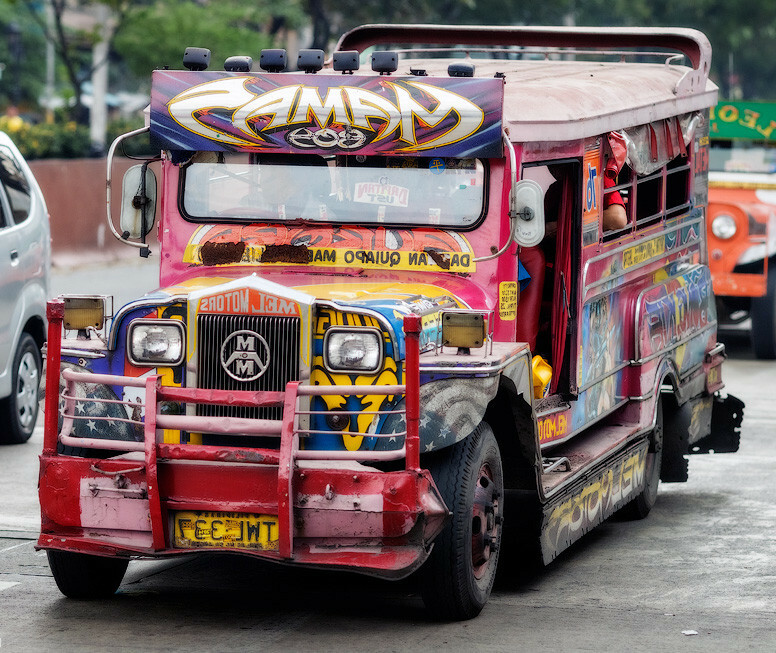 Jeepneys remained in the Philippines after the times of American influence, when they were used for military purposes. It is not a problem to rent a car in the Philippines. But like in any Asian country there is a crazy traffic. You definitely will not be able to relax and enjoy the atmosphere of the Philippines behind the wheel. On the islands, you can also rent motorbikes – but do not forget to wear helmets. A self-made trip on a motorbike on the picturesque Philippine Islands is an unforgettable experience and nature enjoyment. If you rent a motorbike, you decide what itinerary to choose and do not depend on anyone. Prices for motorbike rental are low, for example, in El Nido, Palawan, we rented a motorbike for 400 PHP ($ 8) per day. BUT! This is not about the popular Boracay island, which is too small with an incredible amount of tourists. As a result, the island has many environmental problems, and renting a motorbike is not cheap compared to other islands — on average about 2,000 PHP ($ 40) per day. 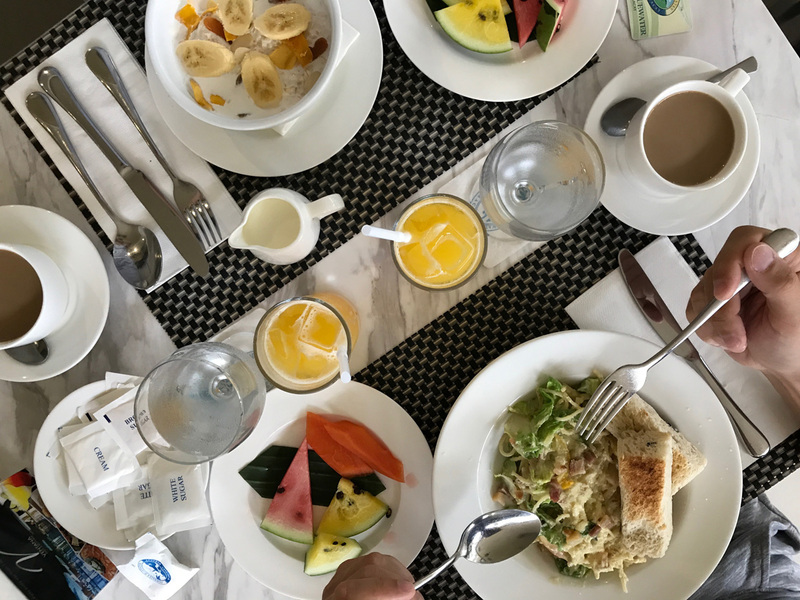 Vacation in the Philippines can be really different, for every taste and purse. This is about holiday accommodation too. 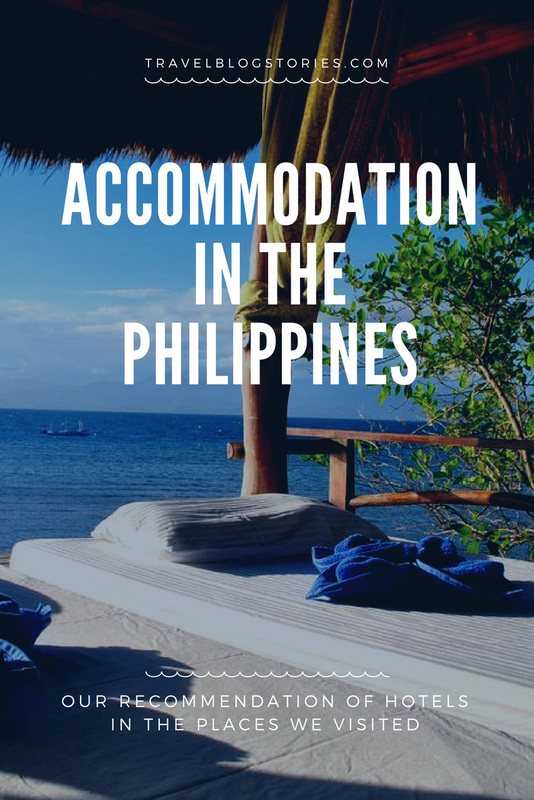 Absolutely any tourist being on vacation in the Philippines will be able to easily find an accommodation for himself, depending on his preferences. In the Philippines you can strongly feel the breadth of choice – next to expensive luxury hotels and beach resorts there may be poor houses of local people, with organized guesthouses or separate rooms for tourists. In general, while spending holidays in the Philippines, tourists can rent a variety of accommodations: from a bed or a separate room in hostels for backpackers to separate rooms in the houses of local people, from apartments and rooms or bungalows in mid-range hotels to luxury hotels and beach resorts with a wide range of amenities, private territory, their own diving schools and island hopping tours. Since there is a great number of small islands, it is common practice in the Philippines, when luxury hotels are located on a separate island, which can only be accessed by hotel guests. The main part of accommodation for rent to tourists in the Philippines is mid-range accommodation — cozy small hotels with everything you need for a comfortable stay. Double room in such hotels on average costs within 2000 PHP ($ 40), although it is clear that rental prices in the Philippines vary depending on the popularity of the resort. Sockets in hotels in the Philippines are universal, suitable for both European and American plugs, we never needed an adapter, but in case you need one – you can ask for adapter at the reception. The standard supply pressure is 220 V, 60 Hz. There is an accommodation for rent at absolutely any price category in the Philippines. In each resort there are hostels for backpackers with minimum prices, where renting starts from a few dollars. It depends on some factors, the main one is the time when you are going to the Philippines. During the high season (holidays, when most people do not work and have vacation), the demand for accommodation is so high that it is better to book good accommodation well in advance. Prices for accommodation during the high season in the Philippines are much higher. In the low season in the Philippines you can book hotel for the first few days, and then personally find accommodation you like already after arrival. Prices when booking hotels personally in the low season may be lower than if booked in advance through the search websites. How to book a hotel in the Philippines. Useful tips in details for booking an accommodation you can read Here. As for local features – before booking a hotel, carefully study the reviews of it, preferably on several websites. When choosing accommodation in the Philippines, it is worth paying attention to whether there are any roosters in the neighborhood – at first it seems like a joke, but not in the early morning. And also an important criterion is whether the facility has its own power generator, since interruptions in electricity are frequent there. You should keep in mind that taxes are usually added to the cost of the accommodation indicated on the website, so the final price for renting accommodation in the Philippines will be higher. Booking — guesthouses, apartments and hotels in the Philippines without prepayment. The nature in the Philippines is stunning, mainly because of the volcanic origin of the islands. The relief of many islands is formed by high mountains (up to 3000 meters above sea level), extinct and active volcanoes. In the south-west of the country near Palawan island there are karstic islands of volcanic origin, covered with tropical greens and having numerous lagoons and caves. Even if you are not a fan of outdoor activities, on this type of islands you will enjoy and fully appreciate the beauty of the volcanic nature of the Philippines. Philippines together with a number of neighboring countries are included in the Pacific “ring of fire”. There are 18 active and 19 sleeping volcanoes on the territory of the Philippine islands. Volcanoes are one of the main attractions of the Philippines and are of interest to a large number of tourists from all over the world. The largest and most dangerous among the active volcanoes in the Philippines is Pinatubo, which erupted in 1991 after nearly 600 years of being dormant. Popular for mountain tourism in the Philippines are also the Mayon, which last erupted on January 24, 2018, and Kanlaon. 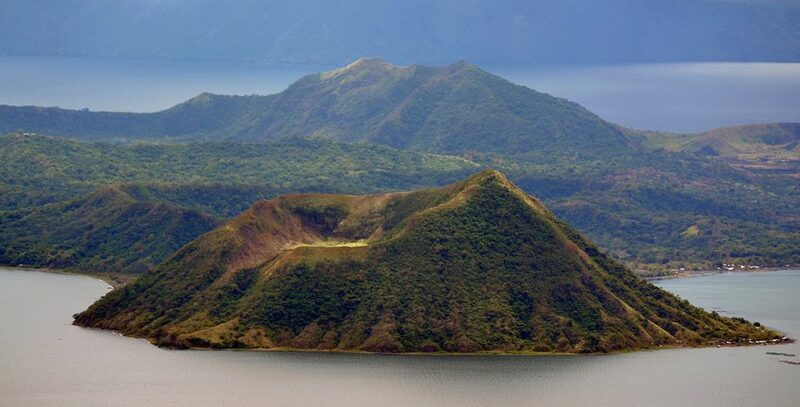 But the most popular volcano in the Philippines is Taal, the smallest volcano in the world, the height of which reaches just 311 meters. In addition, Taal volcano is quite easy to reach – it is only an hour’s drive from Manila. Near the Philippines there are over 7,000 dive sites. That’s why diving is so popular here. And recently freediving is becoming more and more popular. Reviews of diving and freediving in the Philippines are always ecstatic. There are areas in the Philippines where diving resorts are developed. One of them is Moalboal on Cebu island, about our days in Moalboal in details you can read Here. And if you are only interested in prices for diving, then go right Here. 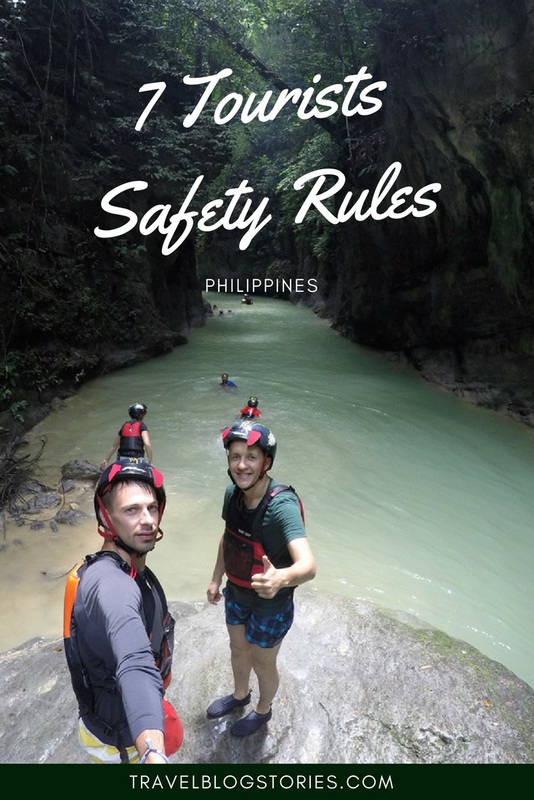 However, in order to make your vacation in the Philippines more interesting with diving, it is not necessary to go to diving resorts (only if you are not fond of diving at a serious level, then of course, it is worth going). In all tourist towns and resorts on the islands you can easily enjoy diving. For example, if you spend time on Busuanga island near Coron island – do not miss the opportunity to dive in the Coron Bay — there are many sunken Japanese ships of the Second World War and diving is very exciting. For experienced divers, the national marine reserve of Tubbataha, which consists of two coral atolls – the Northern and Southern ones, is of immense interest. The Tubbataha reef is the most famous diving reef not only in the Sulu Sea, but also in all the Philippines. 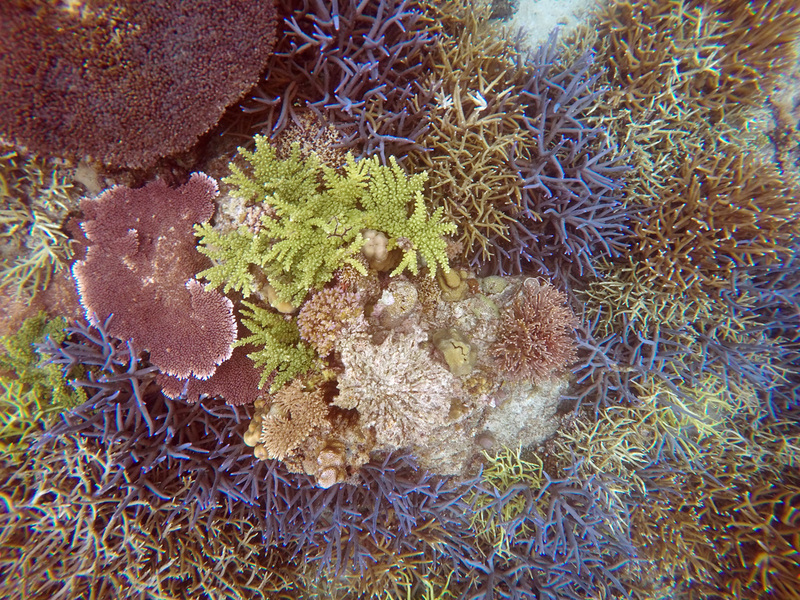 The only disadvantage of diving on the Tubbataha reef is that it’s hard to reach it. For this, divers depart on boat from Puerto Princesa, the capital of Palawan island, and spend about 10 hours on the road one way. 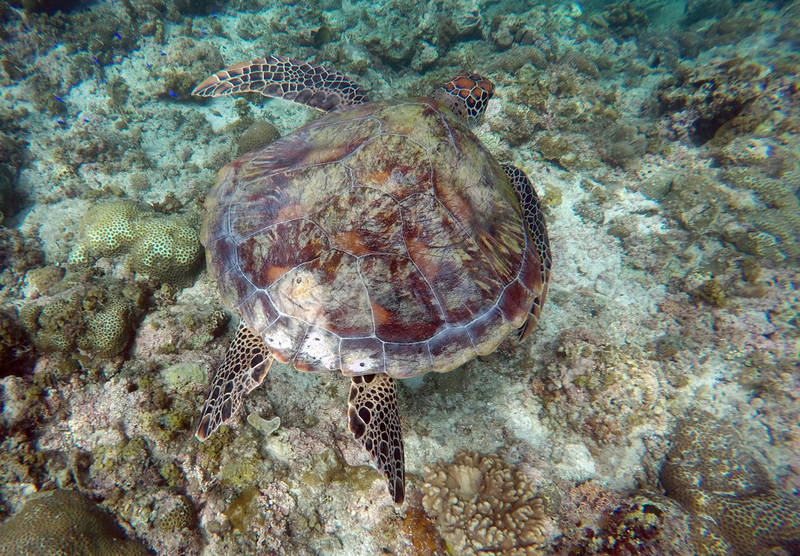 Dive safari for several days with accommodation on boat are popular on Tubbataha. The best and most popular island for surfing in the Philippines is the most eastern island of the archipelago – Siargao. While the best and most suitable months for surfing on Siargao are May and October. Siargao island is washed by the waters of the Pacific Ocean. And a few hundred kilometers from Siargao the Pacific ocean is more than 10 km deep, it leads to the fact that numerous swells come exactly to Siargao — paradise for the surfer. Not only experienced surfers, but also beginners can be recharged by the ocean’s energy on the island, which makes Siargao universal for outdoor activities. Siargao offers world famous spots and nature reserves of stunning beauty. Every year there are competitions of both local and international level on Siargao, when surfers from all over the world come to this Philippine island. The world famous spot Cloud 9 is worth special attention – it is one of the best waves of the world class that every surfer is trying to conquer. The most popular surf spots in the Philippines are: Cloud 9, Pacifico, Rock Island. The popularity of surfing increases in the Philippines and every year more and more surf schools appear. Do not rent a surfboard and ride alone, it can be dangerous due to the fact that the spots are on beaches with a coral bottom. An experienced instructor will always warn you about the danger and give valuable advice. The Philippines is considered a country with an unstable political situation. But basically all the protests of the population occur on the southern islands, where Muslims predominate among the population of the Philippines (Mindanao and Sulu islands). 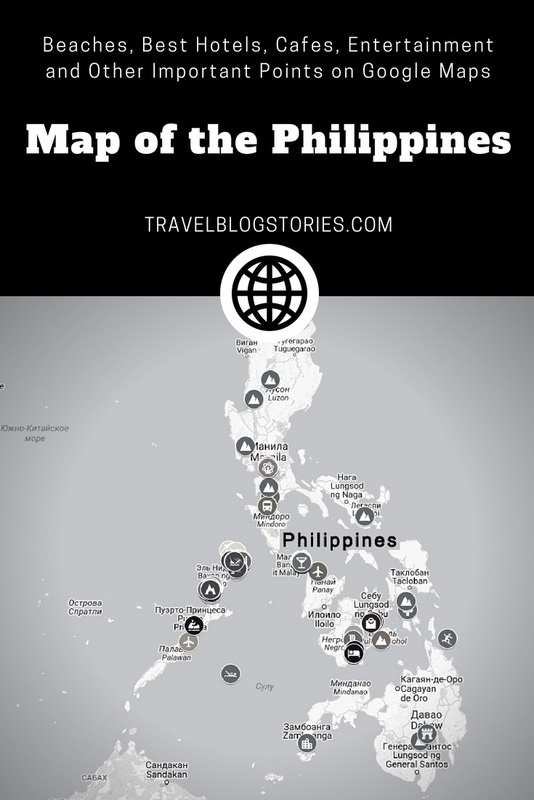 This is worth paying attention to when planning a trip to the Philippines. Therefore, before traveling, you should find out when and which part of the Philippines is characterized by an earthquake, typhoons and other seismic hazards. For example, the probability of typhoons is high in the northern part of the Philippines and is highest in August. While the floods are a consequence of the rainy season, more about which you can read in the Climate in the Philippines. Natural disasters can not only spoil the vacation, but also cause delays and cancellations of flights at airports and interruptions in the work of other kinds of transport (for example, due to the blurred roads). Luzon Island – is the largest island in the Philippines. Mostly all travelers around the Philippines arrive on Luzon island, because here is the capital of the Philippines – Manila. Luzon is an island in the north of the Philippines, in the rainy season and especially in August, there is a high probability of typhoons. There is the popular mountain resort Baguio on the island, which is famous for its soft comfortable cool climate. The south of Luzon island is popular with beach fans who do not want to go to other islands. Mindanao Island – is an island in the south of the Philippines. The island got wide popularity due to its amazing nature and indented coastline – there are many bays and peninsulas on Mindanao. When planning a trip to Mindanao, it is worth considering the risks associated with the unstable political situation and the terrorist threat on the island, because there is a Muslim part of the population of the Philippines. Palawan – is the island and province of the same name in the west of the Philippines. The amazing nature of Palawan is a bit different from the rest of the Philippines, because Palawan used to be part of Borneo island. The marine reserve El Nido attracts tourists from all over the world, and the famous researcher Jacques Yves Cousteau wrote that he had never met such beautiful places and a variety of the underwater world as in Palawan. Negros – is a large island in the central part of the Philippines. 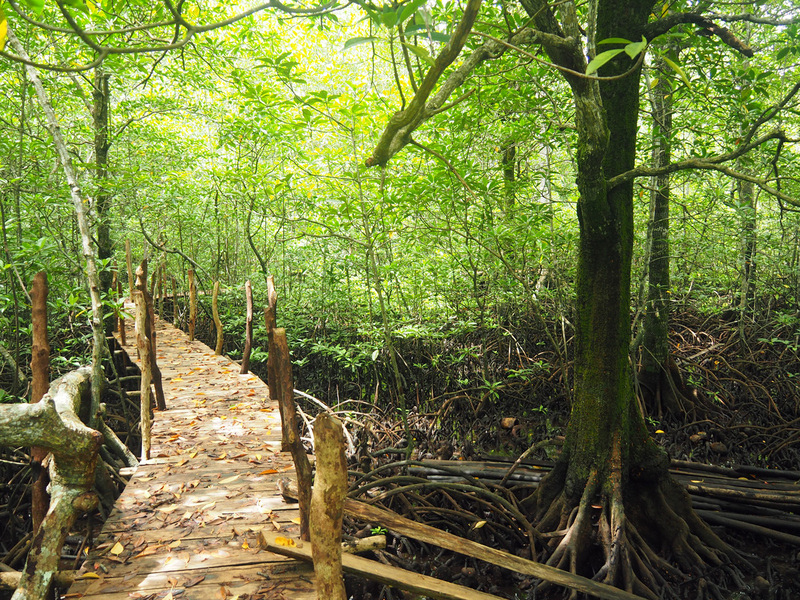 It is believed that the island got its name due to the mountain mass of dark color, overgrown with tropical plants. Vacation on Negros may be quiet and relaxed, but at the same time with entertainments: interesting snorkeling, natural excursions, beaches with black volcanic sand you can find on Negros. 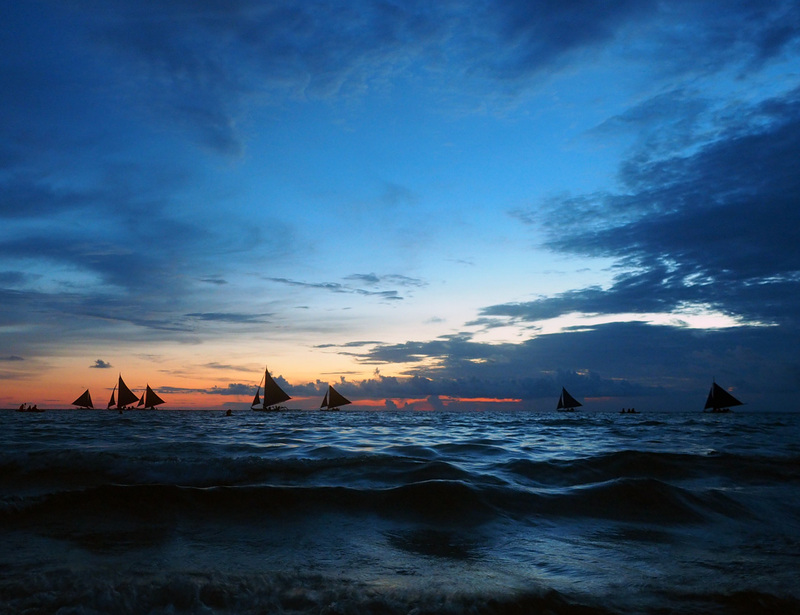 Boracay and Panay Islands – the most touristic place in the Philippines. The small Boracay island, which is only 7 km long, is considered to be the most popular holiday destination in the Philippines. 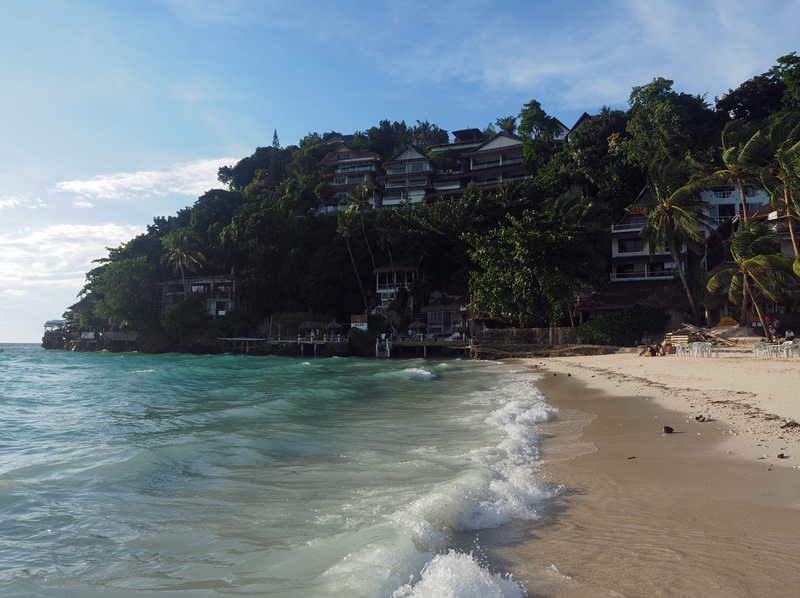 There is no airport on Boracay and all tourists arrive to the neighboring island – Panay. Some of them go directly to Boracay, and some prefer to travel on Panay island first. Cebu Island – is another popular tourist island in the Philippines. Tourists are interested not only in the capital – Cebu City, but also in a diving resort Moalboal with a beautiful coral reef, located near the coast, Kawasan waterfall with canyoneering, Oslob with Tan-Avan village, where tourists come due to the opportunity to swim with huge whale sharks, and in Bantayan island, which is close to Cebu island. Panglao and Bohol islands – which became popular due to the ideal conditions for beach holidays. There are amazing “chocolate hills” on Bohol island and the park nearby, which attracts tourists with its lovely inhabitants – tarsiers. 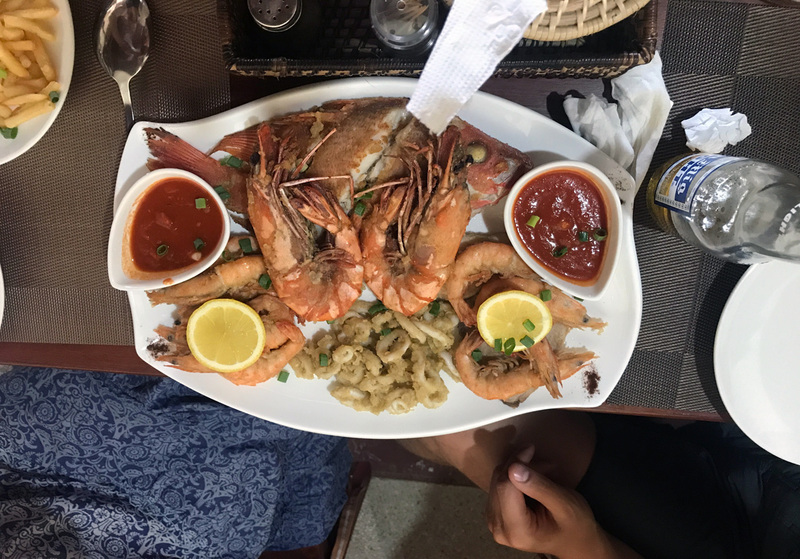 In a large number of courses, as in typical Asian cuisine, in the Philippines they can not do without rice, fish and seafood. Rice is the most popular garnish, which is served both in classical form and in variations – for example, with soy-garlic sauce. Rice in the Philippines is also used as a component of salads, for making desserts, various cakes and so on. However, the Philippine cuisine is quite various. As in a typically maritime state, in Philippine cuisine there are many kinds of fish and seafood. Quite widely in courses are used coconuts and coconut milk. If you are a vegetarian – in the Philippines you just will not stay hungry. In the menu of Filipino cafes and restaurants you will find many positions for vegetarians, and the courses include many vegetables and tropical fruits. Calamansi – a component of many courses and sauces, a small citrus fruit, that looks like a small lime. When ordering, ask not to add ice in juice and smoothies (it can be made from the tap water). What about alcohol – classical for the Philippines is rum. Prices for rum are low, in shops a bottle of rum costs from 50 PHP ($1). The most popular Filipino beer — San Miguel. The feature is also that cafe and restaurants in the Philippines often serve not the usual fork and knife, but a fork and a spoon. Places not only with local cuisine are popular in the Philippines. More and more popular are the cafes and restaurants opened by Europeans. 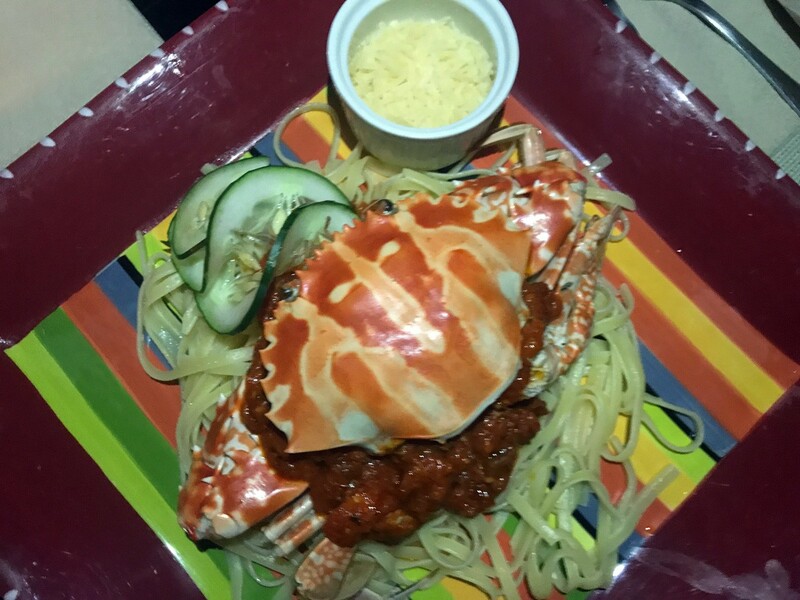 For example, places with Spanish, Italian and other cuisines. Despite the fact that the owners of such places are Europeans, the staff is slow-moving Filipinos, therefore the service is usually long, there is nothing to be done about it, you just have to accept it. Fast food restaurants are extremely popular in big cities in the Philippines, except international wide known McDonalds and Burger King there are local ones – JolliBee. Prices for food in the Philippines are different, here you can eat either cheap in places which the local people prefer or expensive in first-class restaurants, mainly for tourists. Everywhere in the Philippines there are a lot of small shops where you can buy snacks like dried mangoes and etc. The number of national and local holidays, which are both religious and political in the Philippines is impressive. Filipinos are very religious people, and therefore the veneration of all the Catholic saints goes into many festivals. Religious holidays are diluted with generally accepted political holidays and holidays on the occasion of harvesting or any historical event. The religion of a large part of the Filipinos was affected by a historical past – the times when the Philippines were under the rule of Spain. As a consequence, currently about 83% of Filipinos are Catholics. Filipinos are very religious, the country celebrates many religious holidays, and on Good Friday some religious fanatics allow to crucify themselves on the crosses, thereby to feel the sufferings of Christ. About 5% of Filipinos profess Islam. This religion appeared in the Philippines as early as 1210, at the times of trade with Arab merchants. Muslims in the Philippines live in the south – on Mindanao island. There are tensions between the Christian and Muslim communities in the Philippines, leading to an unstable situation on the southern islands. That’s why, despite the beauty of Mindanao island going there can be dangerous. Historically, Filipinos accepted two religions – Christianity and Islam. But nowadays also an insignificant part of the population of the Philippines professes Protestantism (5.4%), are supporters of the Independent Church of the Philippines (2.6%) and the Church of Christ (2.3%). On Vacation With Children – Where to Go in the Philippines? If you are going on vacation to the Philippines with children – the best choice will be to spend days on the islands. In big cities (for example, in Manila or Cebu City), there are hotels with a private territory and water parks for children, but the ecological situation in big cities in the Philippines leaves much to be desired, and it’s worth staying there for 1-2 nights for sightseeing and maybe shopping. The best resorts for families with children in the Philippines according to tourists’ reviews are Boracay and Bohol, this is where the best beaches for children are. The famous Boracay beaches, in particular White Beach, is ideal for children – a perfect beach with emerald water and palm trees, where you can hide in shade. The developed infrastructure of Boracay helps you to provide yourself with everything you need for a vacation. If you go with children to Bohol – you will have a great opportunity to enrich your beach holidays with tours to the Chocolate Hills, marine reserve or to the center of studying tarsiers – small primates. You can not take in hands and feed them – tarsiers are night animals and go to the hunt with dusk. To feed the tarsier – means to leave him boxing with insects for the night (they do not eat fruits). Whichever island in the Philippines you will choose to spend vacation on with your child – do not forget about precautionary measures. There is a rich underwater world in the Philippines, for example, on the beaches and right off the coast there are a lot of sea urchins and etc. — always make sure that your children have shoes even while on the beach, and do not forget about the headdress and sunscreens, the sun in the Philippines is too active! Resorts and small towns in the Philippines are far from shopping. There you can buy only souvenirs. Large shopping malls you can only visit in big cities, such as Manila or Cebu City. In the shopping malls you can find either well-known international brands or Filipino ones. Girls will be interested in stores of Asian (and not only Asian) cosmetics. If you are not interested in buying classic souvenirs from the Philippines, in shopping malls you will surely find suitable gifts for friends and loved ones. There is a popular shopping center Mall of Asia in Manila, which impresses with its size, it’s better to spend a whole day visiting such kind of shopping centers. At the entrance to all shopping centers in the Philippines there are always guards who check you and your bags, do not be afraid of it. What seemed unusual to us was the Christmas assortment of goods in all shopping centers since September. It doesn’t make sense to write about the prices in the shopping centers of the Philippines, the price is a purely subjective phenomenon, for someone one price will be low, and for someone unreasonably high. 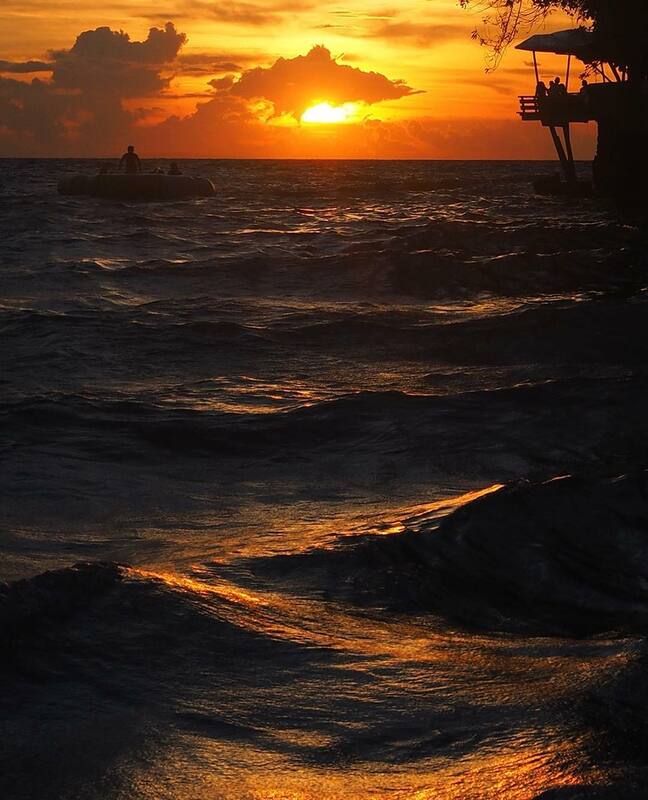 But perhaps the most memorable are your photos from the Philippines. Watching at home your pictures from the paradise beaches and islands in the Philippines you will have warm memories, and you will surely want to return to this country! Boracay Island – the most popular tourist island and the beach capital of the Philippines with the best beaches in the opinion of many tourists. 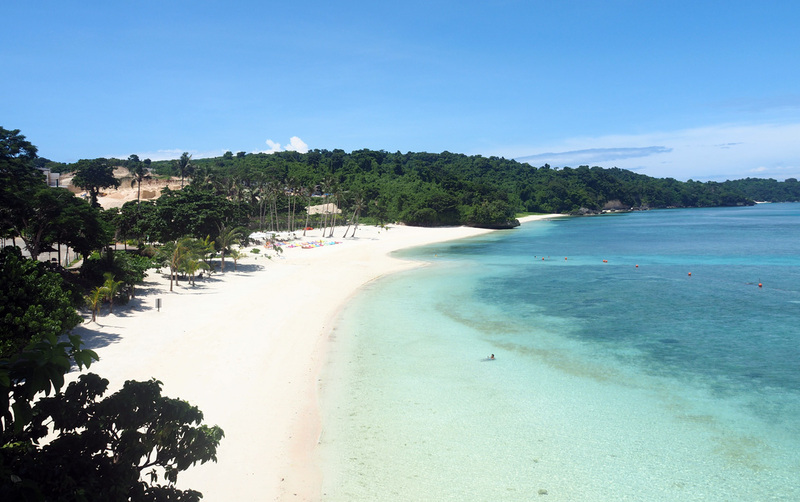 In addition to the fact that Boracay itself is a tourist attraction, many places can be visited both around the island and on the neighboring Panay island. Cebu Island – one of the most popular islands in the Philippines, the most interesting for tourists is the island’s capital – Cebu City with its museums, shopping malls and the monument to Magellan near the place of his murder. In addition to the island’s capital, fans of diving and snorkeling on Cebu island should visit Moalboal, where the shore is a coral reef with rich underwater world. 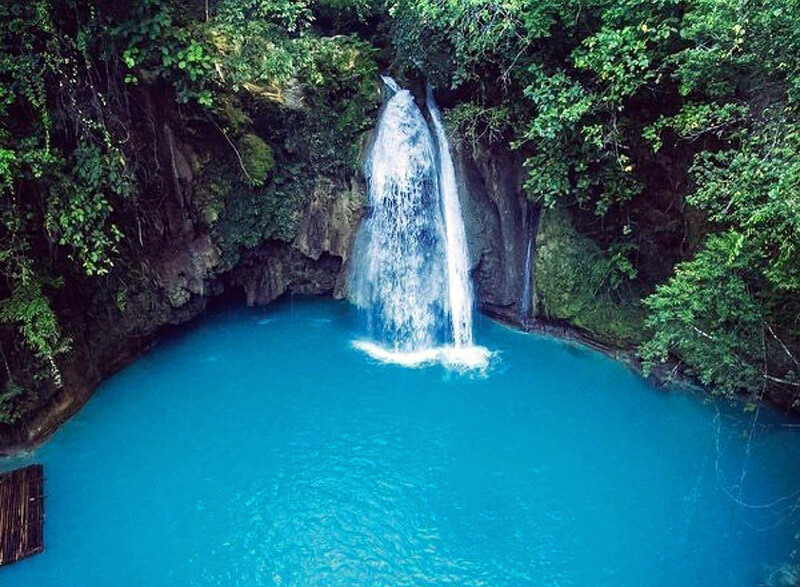 In the west of the island there is the famous Kawasan waterfall, the beauty of which will surprise even the most sophisticated traveler, while Tan-Awan village near Oslob is famous for the opportunity to swim with whale sharks – which is one of the popular entertainments in the Philippines. Bohol Island – A small but popular island near Cebu island. 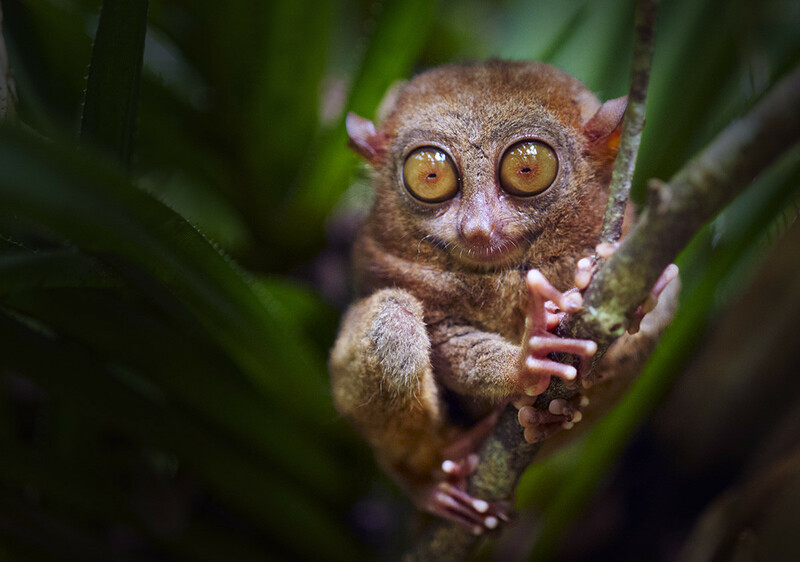 Bohol is famous for its “Chocolate hills” and park, in which small primates – tarsiers live. Mindanao Island – located in the south, this is the second largest island in the Philippines. Mindanao has amazing nature, different from the rest of the Philippines and beaches with volcanic black sand. The main attraction of the island is Mount Apo, and the national park at its foot is also worth visiting. The cities of interest on Mindanao are Davao and Zamboanga. Before going to Mindanao, you should keep in mind that most of the locals profess Islam, as a result of which there are protests on the island. Sulu Islands – more than 800 small volcanic islands that are worth visiting for those who are tired from big city life and want to spend time alone with nature. 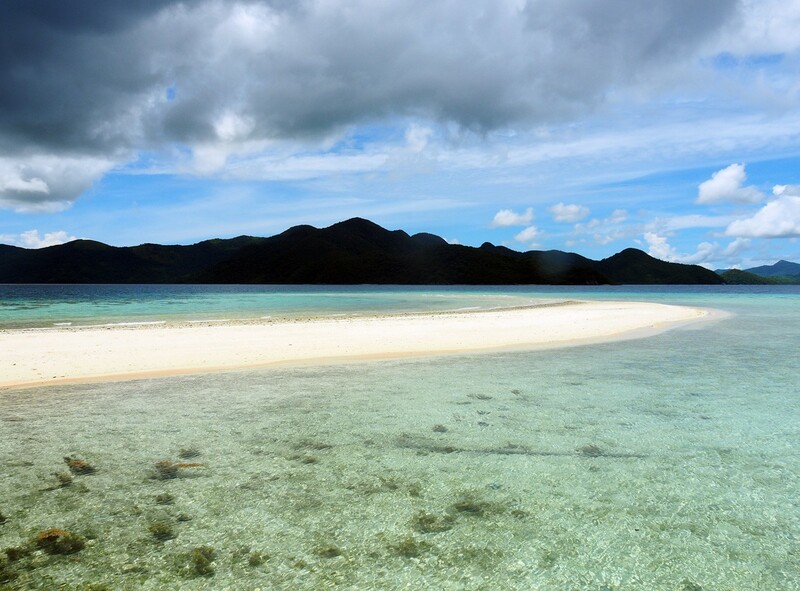 On weekdays there are no people on the beaches on the islands, which guarantees an excellent rest. Among the Sulu islands there is Bangao island, which is the “fishing capital” of the Philippines. Leyte Island – here you should visit two national parks (Kulapnit-Balinsasayyao and Mahagnao-Volcano), and climb Mount Lobi. Fans of diving will not get bored on Leyte island – there is a large number of ships and aircraft of the Second World War, which guarantees a fascinating diving. The largest sea battle took place near Leyte island (between the US and Japan). Luzon Island – the largest island of the Philippine archipelago. Luzon has many attractions, starting with the capital of the Philippines – Manila. Tourists should also visit the national park of Quezon (where the world’s smallest volcano Taal is located), Sagada caves, Magdalo waterfalls, rice fields of Banaue, mountain resort Baguio, volcano Mayon. The capital of the Philippines – Manila. Most of the tourists going on a trip around the Philippines land in Manila airport. We think that big cities are not the place to stay for a long time in the Philippines, and certainly not where to go specially, but if you want, you can stop there for a couple of days along the way. And if you have free time for sightseeing in Manila, then walk along the embankment of Manila, where hundreds of families gather before sunset, visit the oldest district of Manila – Intramuros, defensive fortress Fort Santiago, Rizal Park, where you can also find Manila Oceanarium. Tourists are interested in Manila Zoo and Botanical Garden, the amusement park “Enchanted Kingdom“, Park Paco, Manila House of Butterflies. You may also visit the Coconut Palace, located on the territory of the Cultural Center of the Philippines, the San Sebastian Church and the Church of St. Augustine, built in 1587. There are really a lot of things to do and places to see in Manila, but it should be taken into account that the environment in the city is too bad, everything is polluted by the huge number of cars and permanent traffic jams. Therefore, if you are not a special fan of big cities – Manila can only be used as a stop before going to paradise islands, where you can relax in the Philippines alone with nature. Where to Buy Excursions, Boat Tours and Other Activities? All the attractions in the Philippines you can visit on you own (except those where for security reasons it is necessary to be accompanied by the guide), but if you want you can buy sightseeing tours. 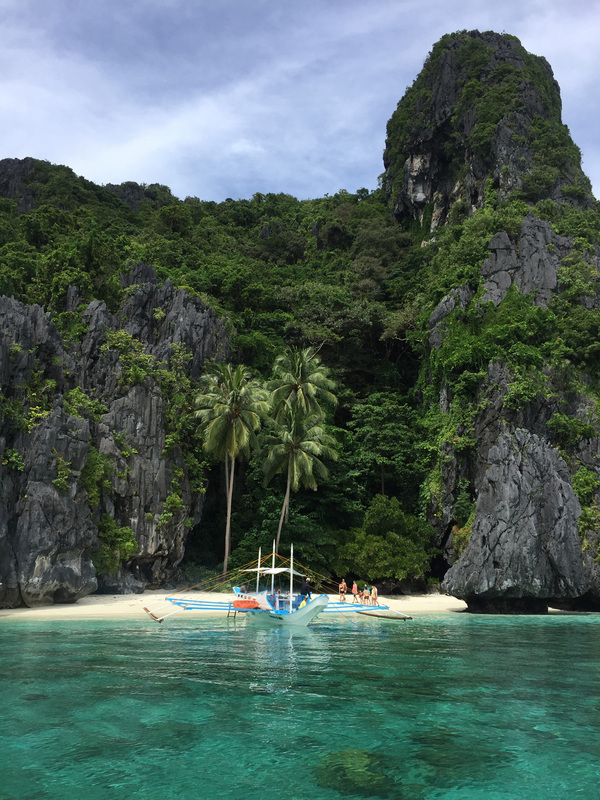 There are countless tours in the Philippines that include both a visit of one place, for example El Nido marine reserve, or tours of the whole island or even several Philippine islands. Sightseeing, island hopping and other tours can be bought during your stay in the Philippines, and it is possible to buy tours in advance if you like a well-planned program on vacation. On this Site are collected all sorts of tours around the Philippines, you can study everything at home before the trip, choose the tours you like, pay for them and be sure that your vacation in the Philippines will be interesting and exciting! But this is not all, except sightseeing tours in the Philippines, there is an opportunity to purchase package tours: combining accommodation, meals and sightseeing trips. Package tours according to the reviews of tourists by the way are quite popular in the Philippines, for many of them it’s easier to pay for everything at once than to build the itinerary and read the articles with the information they need. There is a year-round summer in the Philippines, half a year rainy, half a year dry. From November to May during vacation in the Philippines you will be accompanied by comfortable warm sunny weather. Water in the seas in the Philippine Islands is warm, it’s a pure pleasure to swim and enjoy the colorful underwater world in the Philippines! A long tiring flight. The Philippines are not so easy to get to. Many are frightened by the information, how long it is to fly to the Philippines. Several stops to fly to Manila, and then other trips between the islands for many is reason not to go to the Philippines. You want to visit several islands with a busy program, while traveling with young children. Transportation in the Philippines is very tiring, the roads are winding, the journeys take a long time. Honestly, even an adult person can suffer from such transfers. 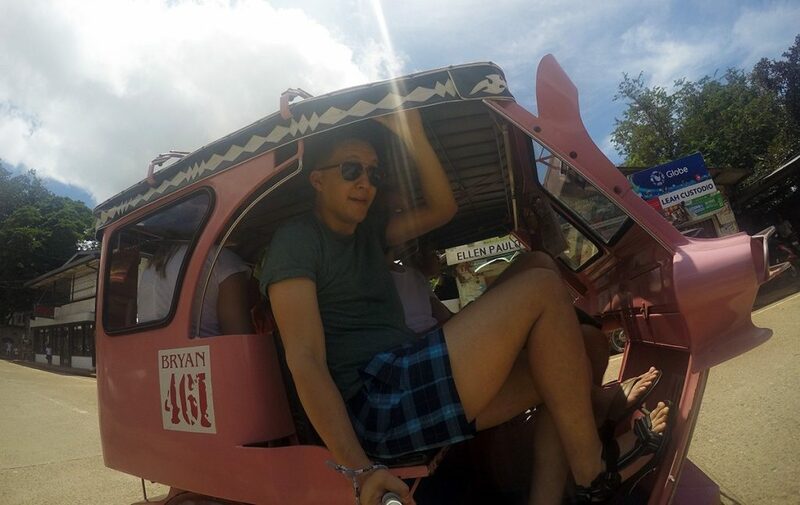 During our trip to the Philippines, we saw basically all couples with children only on Boracay, where the infrastructure is well developed and there are things to do with children. You dream of enjoying fine local cuisine. Your dream will hardly come true. The Filipinos are bad at cooking. Popular are the places with European and Chinese (from numerous tourists from this country) cuisines. You are demanding and punctual, and the opposite annoys and makes you nervous. Filipinos are too slow and not punctual. And this is about everything: delays in the transport schedule, slow service in cafes and restaurants, failure to meet at the appointed time of meeting with a guide or taxi – all this is about the Filipinos. You are too impressionable, and the sight of sick animals upsets you too much. As it would not be sad, but it seemed to us a great problem of the Philippines. There are too many sick animals on the streets, the locals treat them badly. Itinerary with taking into account the arrival and departure from Manila, where the capital of the Philippines should be visited for no more than 1 day on the way there or back. From Manila to Busuanga – by air, from Busuanga to El Nido, Palawan- by ferry, from Palawan back to Manila – by air. 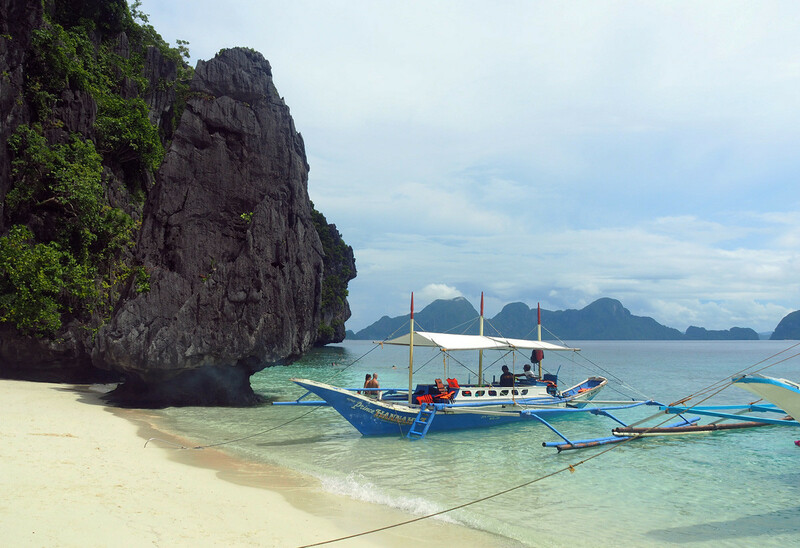 This itinerary combines beach and mountain holidays in the Philippines. From Manila to Busuanga and back – by air, from Manila to Baguio – by bus. Route if you prefer a beach holidays with a more or less developed infrastructure. 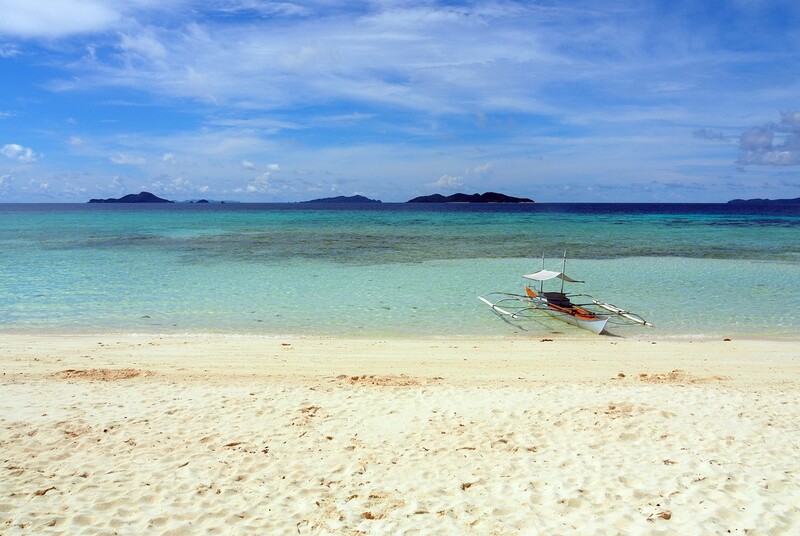 Moving between Luzon, Palawan and Boracay islands to save time only by air. 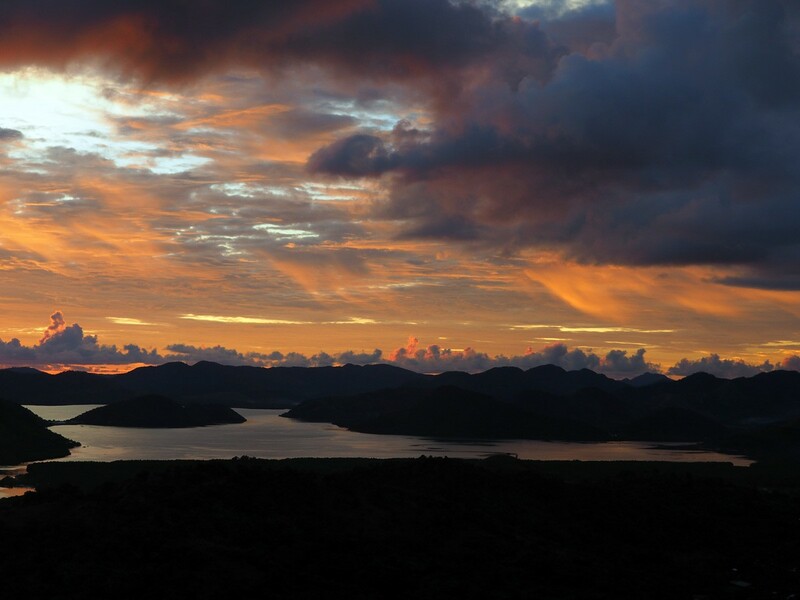 More information on what to visit and see on Busuanga, Palawan and Boracay you can find in our articles. In a two-week itinerary around the Philippines, we again suggest focusing on the incredible nature of the Philippines, spending most of the time on the islands, and about 1-2 days in the capital of the Philippines – Manila. For maximum time saving, we recommend to use flights between the islands. From Manila to Boracay – by air (how to get from Caticlan airport to Boracay on your own cheaper than the offered transfers you can read Here), from Borakay to Mactan island – by air, then a ferry to Bohol from Mactan Island (where Cebu International Airport is located) and back, to Palawan – by air, from Palawan to Manila – by air. First of all, after arriving from Manila on Mactan island near next to Cebu island, take a ferry to Bohol, then back to Cebu and drive along the island to the west, stop in Moalboal, visit the Kawasan waterfall and swim with whale sharks near Oslob, then take a ferry to the nearby Negros island, after spending a few days on the island take a flight to the capital of Palawan – Puerto Princesa, to the underground river in Sabang and to the marine reserve El Nido, after which you can return back to Manila. The optimal length of vacation in the Philippines, to explore several islands and have enough adventures. From Manila to Banaue and back – by bus, then from Manila to Palawan – by air, from Palawan to Cebu – by air, after which you can take 1 day for Cebu City and go to Bohol by ferry, then return to Manila. This is the itinerary around the Philippines, which we used. Arriving in Manila, we only spent the night waiting for the flight from Manila to Busuanga, then we got a ferry from Busuanga to El Nido, Palawan, from El Nido to Puerto Princesa we got by the minivan, and from Puerto Princesa we had a flight to Cebu island, then a bus to Moalboal and back (during our stay in Moalboal we went to the Kawasan Falls), then from Cebu Island to Boracay by air and back to Manila, where we spent 1 day before the flight home. 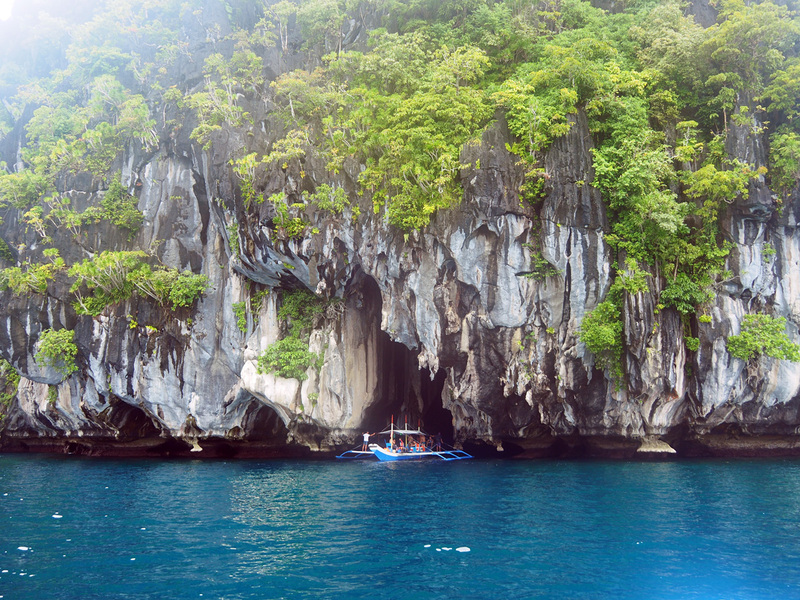 There are many itineraries around the Philippines, as there are many beautiful and interesting places. We gave only examples of itineraries, with arrival and departure from Manila. We recommend staying in one place for at least 2-3 days in order to fully experience the charm of small islands of the Philippines, visit the surroundings, and not to be tired from permanent relocations. Find a cheap flight using Skyscanner or Jetradar. These are two of our favorite search websites, because they search for airfares around the world, thus showing actual prices. You can book a hotel on booking.com, as it always shows the cheapest rates for hotels and guesthouses. We use this service all the time. This is our favorite website for booking accommodation when travel. Travel insurance will protect you from illnesses, injuries, thefts and other troubles. This is protection in case something goes wrong. We never go on a trip without insurance, as we had to use it many times in the past. We use the best service of insurance companies World Nomads for many years, which we also recommend. Looking for services to save money? Check out our page for all the services or the best companies to use when you are traveling! We name all those that we use to save money when traveling – and we are sure they will help you too! Looking for more information about visiting Philippines? 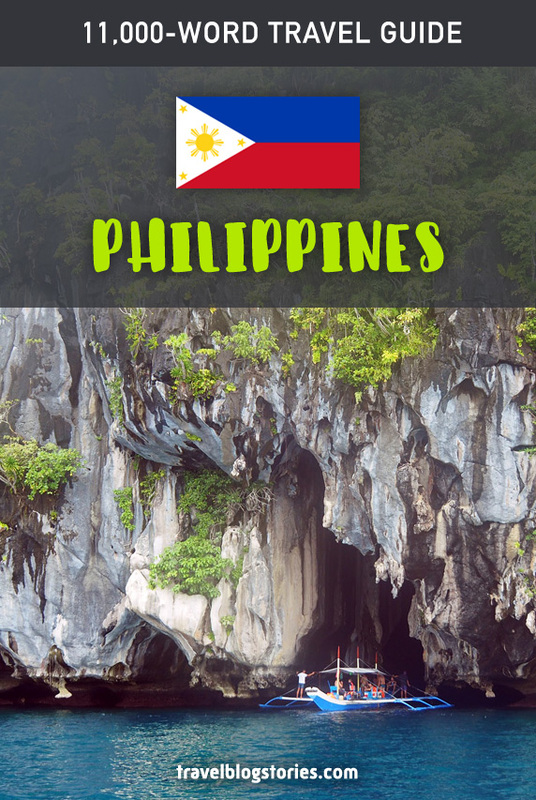 View our book – a detailed guidebook about Philippines, where you will find more tips on what to see and things to do, the prices on the main travel issues, how to save money and much, much more!